Is throwing a party your most favorite thing to do? Why not turn that passion into a professional gig. An event planner is someone who has great attention to detail and can network with a lot of vendors. Not only can you throw the perfect dream wedding but you could also help put together anniversary parties, baby-showers and corporate events. The greatest tool you have is staring right back at you. All your research can be done from home. If you like to cook and win rave reviews for your cuisine, then perhaps you should think about sharing your culinary skills with the rest of the world. There are bunches of options with this type of home business. You could focus on a particular product like cakes, pies or cookies and begin selling them at local farmers markets. Even though you might only be able to hit a few markets per week, you’ll be building up a clientele. No reason you can bake goodies for those customers all during the week! You could also start a small catering company that handles small parties. This is definitely the kind of business that can grow beyond your home. Fortunately, there are commercial kitchens you can rent for a couple of hours each day to get your bulk baking done. Most moms and dads are of the working variety. This means they need someone they can trust to watch over the toddlers. The bulk of day care centers are set up from homes. If you have the space and love hanging out with kids all day, then this could be a great business. You might have to get certified and licensed but those are easy to comply with. The fancy department stores provide personal shoppers for their clients that spend the big bucks. For a home business, you can become a personal shopper for your neighbors. There are sure to be plenty of folks who might have trouble getting around or are too busy to run their errands. Your business can be via phone or online. In a couple of hours you can knock out all your errands and have the rest of the day to kick back. Sounds like a sweet deal. 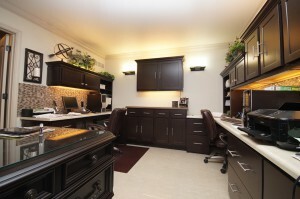 Setting up a home business means making space for an office. Whether you can convert a spare room or the garage into your office, you could benefit with a junk removal session from Junk Works. These are the junk removal professionals who can help you transform any cluttered space into a junk free zone. Get your home business started with a call to Junk Works today. This entry was posted in House Cleaning Tips, Office Cleaning and tagged home business, office, startup on August 30, 2017 by Junk King. Last updated September 1, 2017 .